The Coldfire Trilogy by C.S. Friedman: A smart, thought-provoking fantasy, this series is a must-read. On a distant planet, Erna, there is a powerful energy known as the Fae. It both creates and warps, breathing life to dreams–or fears. Human magic users manipulate the fae, not caring that there are those who feed upon their use. To save this world from being overtaken by the dark fae, an ageless sorcerer who has done unspeakable things will have to work with a warrior priest. This series is much more nuanced and complicated than I can easily go into without giving away key plot points. While the world the author created is interesting, it’s the themes of morality vs. desperation, redemption, and sacrifice that raise this dark fantasy above many others the genre has to offer. 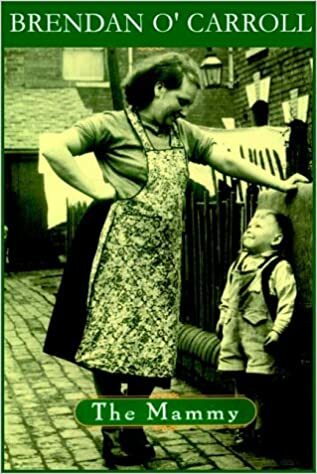 The Mammy by Brendan O’Carroll: I always looked at this series as a sort of Little Women with snark. Anges Browne (“Mammy” is what Irish kids call their mother) is raising her seven kids in Dublin. This book takes place during the 1960’s and is overflowing with wit, charm, and heart. The kind of story that brings a smile to my face, this is a great read. The Swans’ War trilogy by Sean Russell: A high fantasy, this series fits in well with other great fantasy works, such as The Lord of the Rings, and The Name of the Wind. The world the author created is big and beautiful, the prose descriptive and gorgeous. For fans of epic fantasy with masterful storytelling, this is one not to be missed. 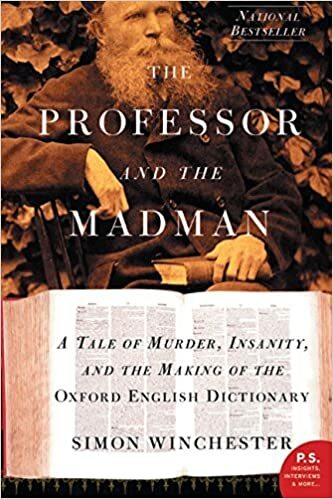 The Professor and the Madman: A Tale of Murder, Insanity, and the Making of the Oxford English Dictionary by Simon Winchester: The mouthful of a title aside, this book is engrossing. When the Oxford English Dictionary was first being put together, submissions for the dictionary were sent in. Professor Murray learned that the majority of them were coming from one man, Dr. W.C. Minor. Here’s the twist: Dr. Minor was an inmate at a prison for the criminally insane. This is a true story, and it’s absolutely fascinating. Have you read any of these? What are some underrated books that you recommend? The Professor and the Madman has been on my TBR for ages! I was intrigued but worried it might be dry. Glad you enjoyed it- now I will have to check it out! I really need to find the time to read The Cold Fire Trilogy, heard many good things about it. The Mammy, the guy who does Mrs Browns Boys the TV show, I bet it’s a fun read. I’ve never seen the show. I’ll need to watch it. Definitely read the Coldfire Trilogy! I hope it’s on Netflix or Hulu!